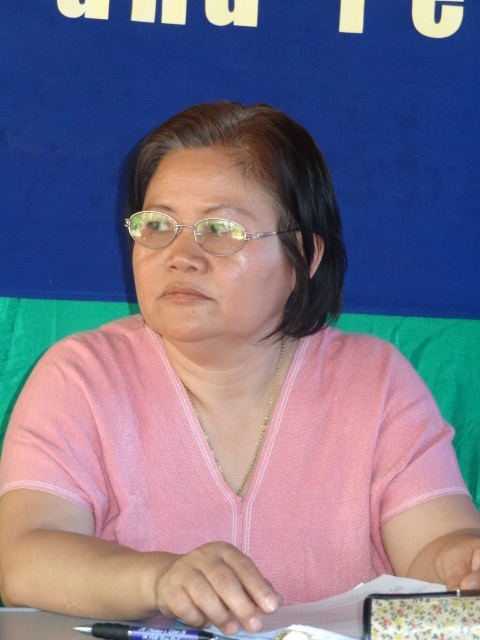 The Karen National Union’s (KNU) delegation, led by its general secretary, Naw Zipporah Sein, leaves today from the Burma border town of Myawaddy for its second round of ‘peace talks’ with the Burma government. This is the second meeting between the KNU and President, U Thein Sein’s government after both sides reached a preliminary cease-fire agreement on January 12 talk in Pa-an. Saw Kwe Htoo Win, a spokesperson for the KNU delegation spoke to Karen News before the group left. Saw Kwe Htoo Win said. Saw Kwe Htoo Win explained that the Divisional and State level meeting will be held in Pa-an, Dawei (Tavoy) and Pagu and the Union level meeting will be held in Rangoon. Both its general secretary, Naw Zipporah Sein, and General Saw Mutu Sae Poe head of the Karen National Liberation Army (KNLA), leads the KNU 16 member delegation. The other delegation members are Saw Ah Toe, Saw Ta Doh Moo, Naw Blooming Night Zan, General Saw Moe Pyu, Saw Roger Khin, Saw Htoo Htoo Lay, Saw Kwe Htoo Win, Saw Swe Moung, Brigadier General Saw Eh Klu Thein, Saw Aung Win Shwe, Naw May Oo Mutraw, Saw Thaw Thi Bwe, Saw Hla Tun, and Naw Htoo Paw. The KNU’s 11-key points agreed to in principle by the Burma government’s delegation at the January 12 meeting in Pa-an include – a demand for the Burma government to stop military operations in ethnic areas, start a nationwide ceasefire as soon as possible, to guarantee the human rights and safety of civilians, to build trust, to plan development projects that have the full participation and decision making of local villagers, to immediately stop forced labor and to stop excessive taxation and extortion of civilians.